The inspiration for the Swedish company Lindform comes from the Scandinavian nature with it’s organic tones and simple shapes. Emerged from a moment picking stones on a beautiful beach. The collection also contains influences from Japan, whose minimalist style marries well with the Nordic design. 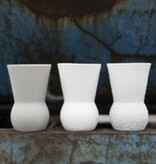 The vases are made in cooperation with Lindform in Thailand by a small family business with 40 years of experience. Clay is a porous material. Lindform recommends users/customers to be extra careful when placing a product on a surface which is sensitive to moisture. Adorable little vase with white sprinkles from Lindform. Handmade out of porcelain clay this beautiful vase look so lovey with a single flower on your dinner or side table and is also very nice with other Lindform vases! Lovely little stone vase from Lindform. Put one or more Lindform vases on a table and your table will instantly look warmer and more stylish. Also a very nice vase for just one little flower on your nightstand. 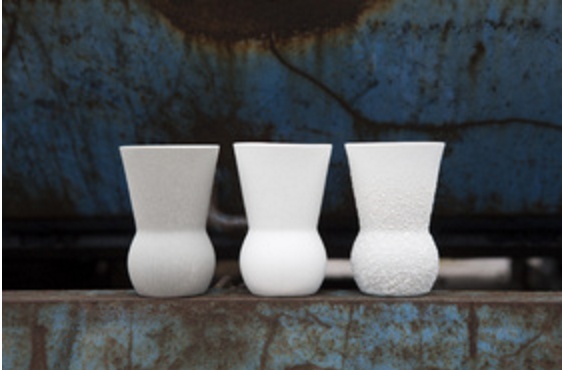 Lovely little grey dotted vase from Lindform. Put one or more Lindform vases on a table and your table will instantly look warmer and more stylish. Also a very nice vase for just one little flower on your nightstand. Lovely little yellow vase from Lindform. Put one or more Lindform vases on a table and your table will instantly look warmer and more stylish. Also a very nice vase for just one little flower on your nightstand.